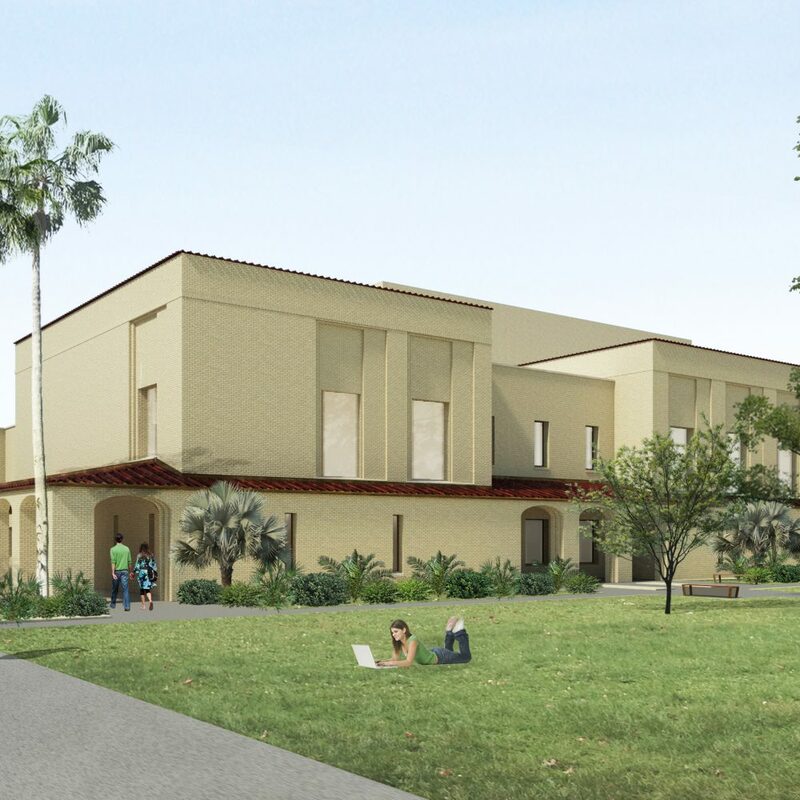 The new, two-story Education Complex and Music Building at Texas A&M University – Kingsville will replace the 60-year-old Bellamah Music Building to support more students and faculty, tripling the size from 32,000-square-feet to 90,000-square-feet. 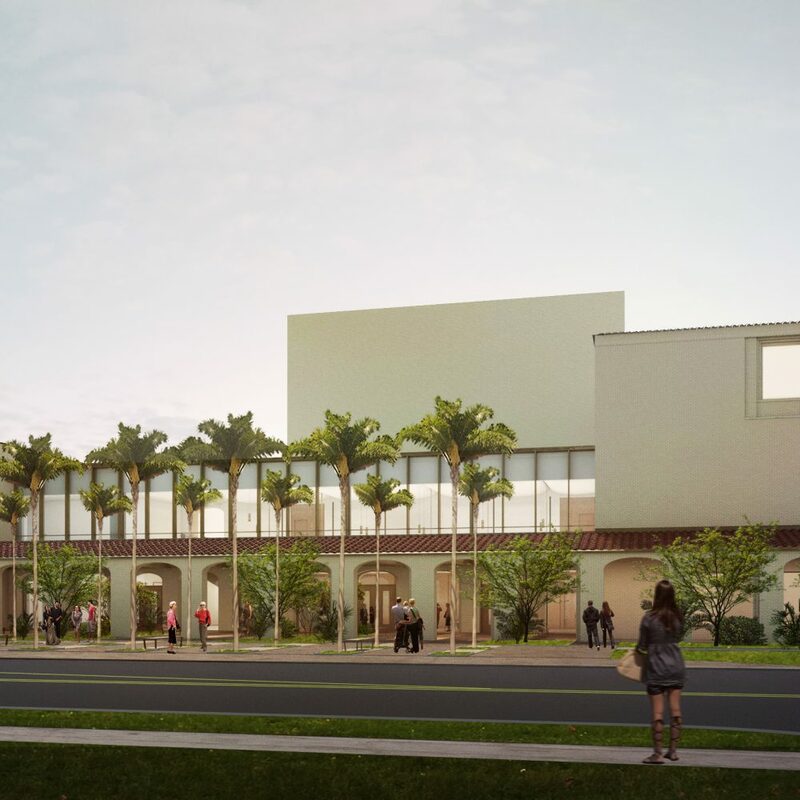 The state-of-the-art facility will serve as a focal point for the southeast entrance to the campus and allow the University to expand and grow their music department. Features include enhanced rehearsal spaces, classrooms and labs, an administrative office suite, a 450-500-seat performance hall and gathering center, and storage facilities as well as a new 1200-ton central utility plant.